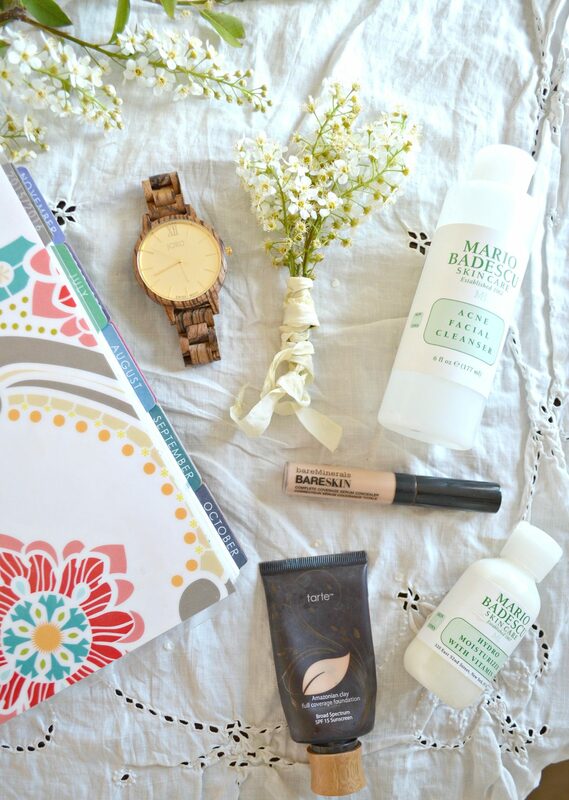 I’m so excited about today’s post because it’s all about my current loves. One thing I’ve yet to share here in blogland is my love for makeup, skincare, and fashion. All happy things, right? I’m actually really picky, so when I find something I love it’s big time happy dance. Today’s goodies include a few of my ride-or-dies, things I have been obsessed with for a while now, as well as a new watch I am loooooooving. 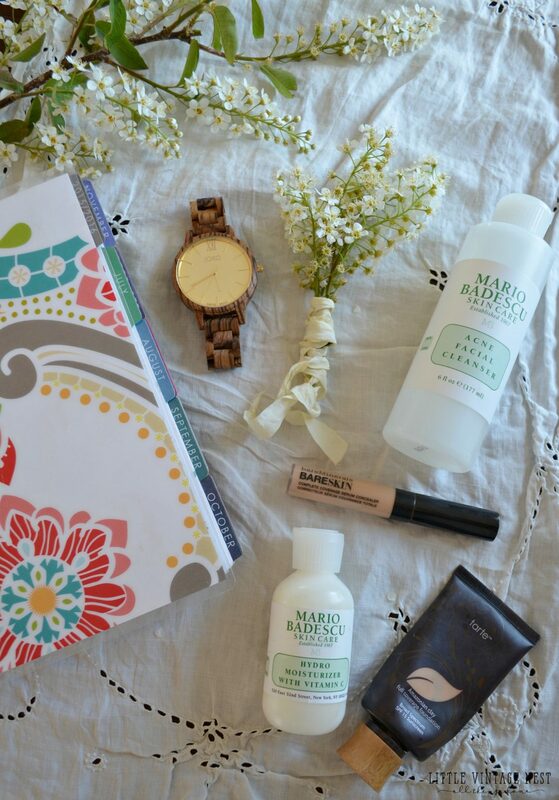 Plus there’s a fun giveaway with JORD Wood Watches at the end of this post! First up is two of my skincare favorites. 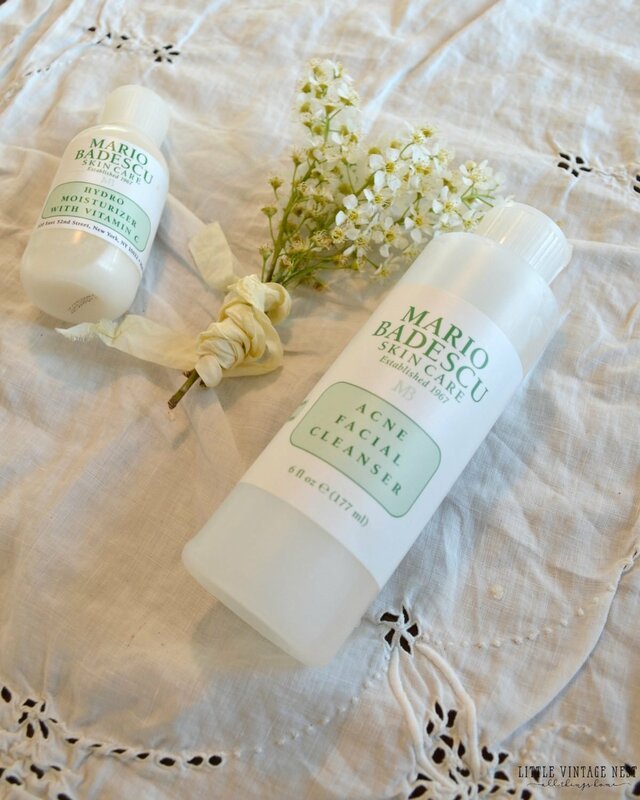 You guys, I am crazy about the Mario Badescu skincare line. I actually found this a few years ago when my skin was going crazy and I’ve been addicted ever since. This stuff works like magic. It’s botanically-based and awesome if you have sensitive skin like I do. I could go on and on, and write a whole post about my skincare, but today I wanted to focus on two products: cleanser and moisturizer. My favorite cleanser EVER is the Mario Badescu Acne Facial Cleanser. If you have acne-prone skin this stuff is the bomb.com. It doesn’t dry my skin out, keeps it clear, AND manages to remove all of my makeup. My mom even uses it now and she’s hooked too. It’s also very affordable, I order mine on Amazon. My go-to moisturizer is the Mario Badescu Hydro Moisturizer with Vitamin C. I’m obsessed with Vitamin C products, so that’s the first thing I love about this. It’s light-weight, non-greasy, and an overall awesome moisturizer for every day and before makeup. It doesn’t break me out either, which is a huuuuuge plus in my book. I live for foundation and concealer. Actually, I’d consider myself a foundation junkie, it’s by far my favorite makeup product. My holy grail foundation for about 3 years now is the Tarte Amazonian Clay 12-hour Foundation. It’s amazing. Lasts all day. Doesn’t break me out. And is definitely full coverage if you want to build it. I use a sponge to apply it, which makes it easy to sheer out if you want lighter coverage. Plus it’s vegan, free of parabens and other chemical malarky. I’m obsessed. 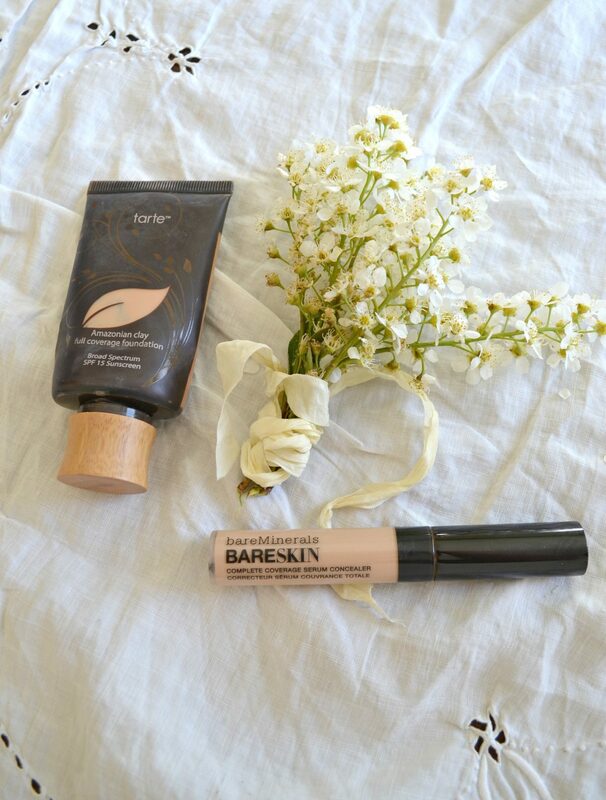 The BareSkin Complete Coverage Serum Concealer is also another must have for me right now. I’m a concealer snob. It’s the truth, I’ll admit it. I need concealer to work and do it’s job without getting all moody on me. This stuff gets an A in my book. I primarily use it to brighten up my under eye area. It’s super creamy and blendable. Perfecto! 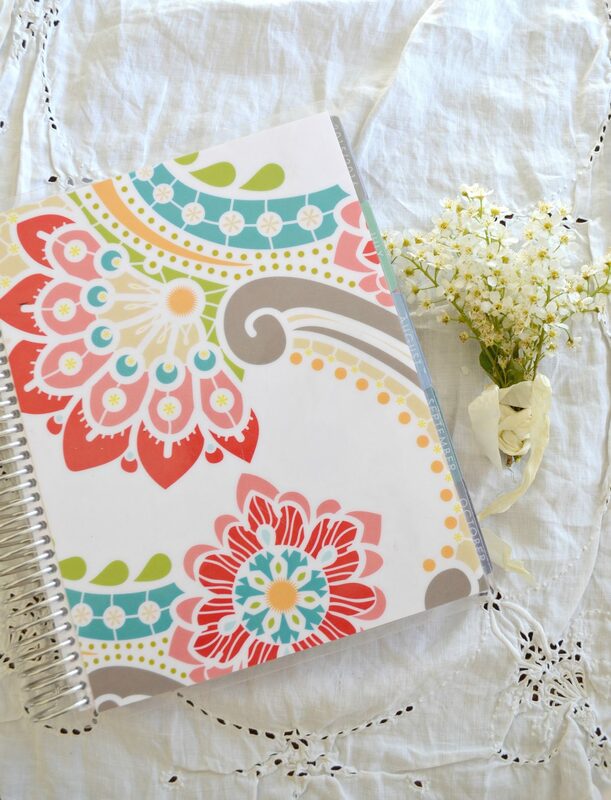 I have to include my Erin Condren Planner. This thing is part of my daily life. I don’t know about you, but I’m still a bit old-school and love writing my to-do list down on paper. I don’t put anything in the calendar on my phone, it’s all in this planner. I have used an EC planner for 5 years now and I am literally addicted. I write everything in this baby, which makes it awesome to look back on over the years. I’ve never been able to get into journaling, so this is the closest it gets for me. My first planner was in 2011, when I was pregnant with my son and in grad school. It’s so fun to look back on that and read through my day-to-day activities. In addition to schedule stuff, I also keep note of any big things that happened in my planner, like his first tooth, or even just sweet little memories I don’t want to forget. I plan on doing a full review on this planner soon, so stay tuned! Now let’s talk about this ammmmmazing watch. 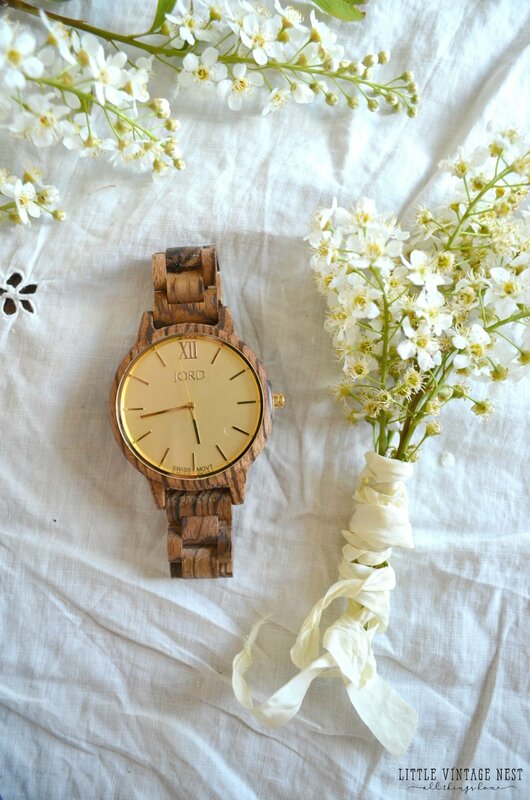 This is from JORD Wood Watches and yep, it’s made of wood. I literally cannot stop staring at this watch when I am wearing it. Not only is it gorgeous, but it’s super lightweight–much lighter than my stainless steel watch. I love the earthy vintage look. It’s feminine, yet rustic, and you know how much I love that combo. The coolest thing about this watch is the fact that it’s made from wood. I just love that it’s made with raw material and so unique. 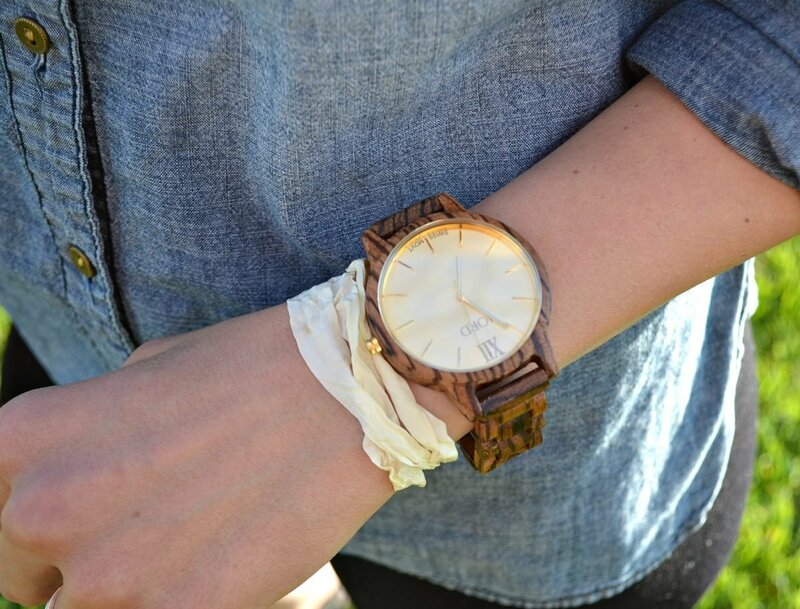 This is the Zebrawood & Champagne watch. I am crazy about this color combination. I can wear this with anything and it looks fab. This is definitely a larger watch than what I’m used to wearing, but I actually really love the size. And good news, JORD has generously offered to do a giveaway so you can have a gorgeous watch too. Go here and enter your name & email address. Done. Easy peasy. The giveaway starts today, May 13th, and ends May 20th at 11:59pm. One randomly chosen winner will receive a $75 coupon to use towards any watch! I love your home tour from Liz. and I love wood watches. I saws one several years ago and didn’t buy it and kind of forgot about it. Glad to know where I can find it!!! I love the one you have. Love your bathroom reno…..want to use some of those ideas at my house. You have great style! Thanks Mary, I am so glad you stopped by. And thanks for the sweet words! Loved today’s post…would definitely like more! Love posts like these. I’m more inclined to check out a product if I hear the pros and cons from someone “real’. And your skin looks amazing! 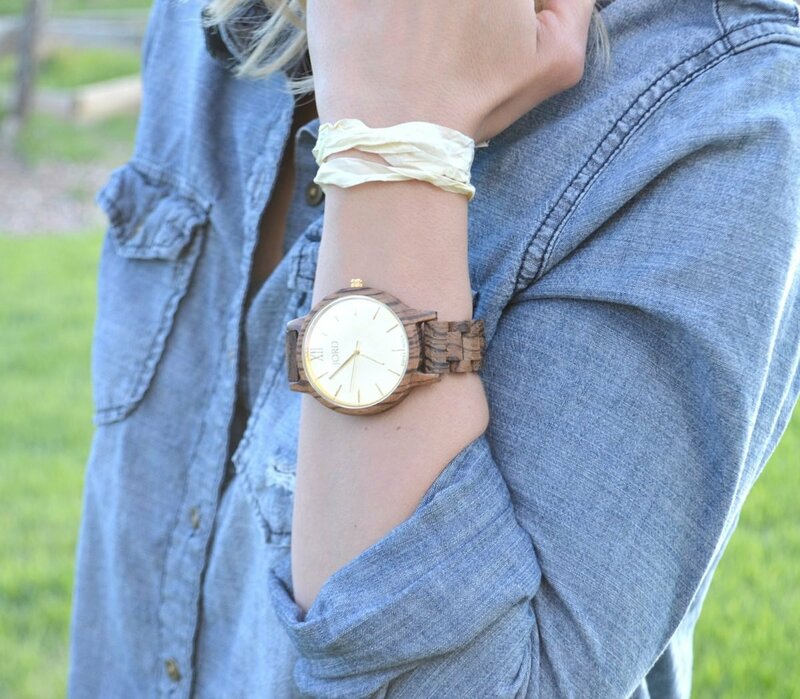 Love the watch, I’ve never seen one with a wood band and it sounds really cool for summer. Thanks for a great giveaway! Thanks so much Jane, I’m so happy you liked it! You are my new favorite blog! 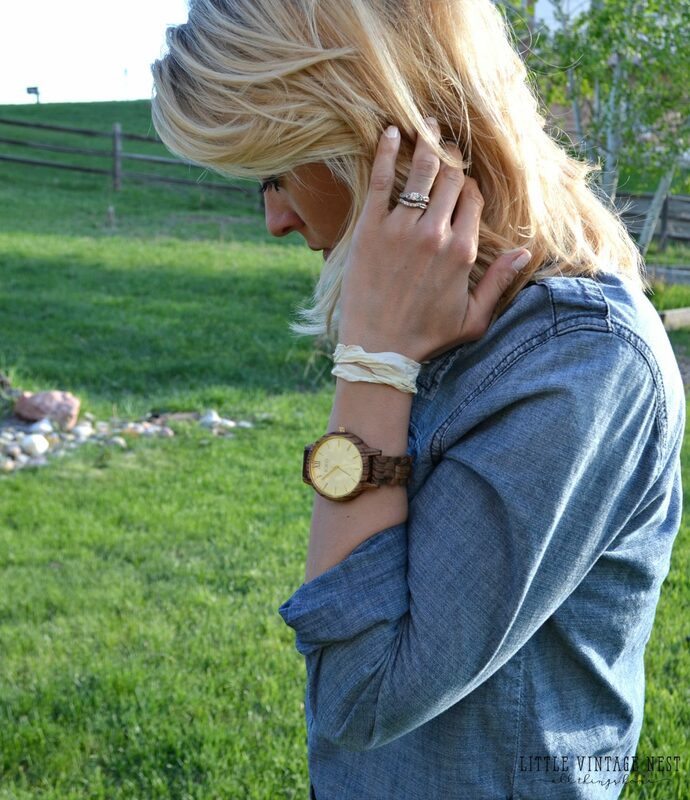 Totally digging that wood Jord watch. OK, maybe I even drooled a little bit, but I don’t want to talk about it. And your 5 ways to style a wooden crate was inspiring. Keep it up!